Over the last six weeks, the video game industry has faced a revolt from both consumers and media. Tactics built into games to generate additional revenue have infringed on their designs to the extent that publishers are now facing intense pushback. The question is whether consumer unrest, lower review scores and negative press coverage will outweigh the money they’re pulling in at unprecedented rates. “NBA 2K18″ is the lowest scored entry in the franchise in a decade based on review aggregator Metacritic. By all accounts, it’s a great game, except for the harmful effects that the implementation of the “Virtual Currency” has had on its design. 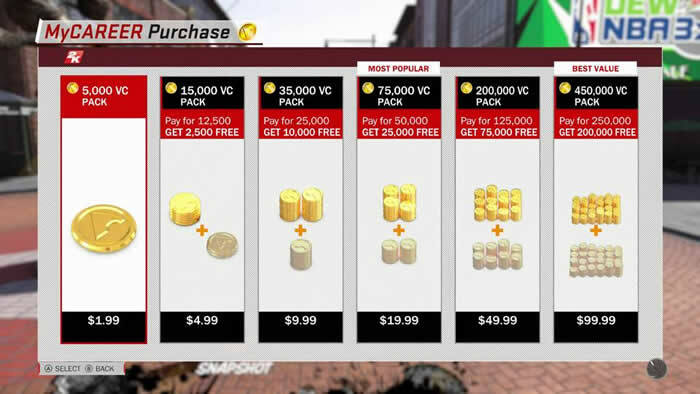 “NBA 2K18″ utilizes a universal currency which permeates throughout the game’s various modes. That currency is used to upgrade character skills, acquire boosts, purchase clothing and accessories and much more. Unfortunately, the game is now built in a manner to intentionally put players into positions where they will feel like they have to spend money to simply have fun or to have any chance at competing online. It has been over a decade since the standard video game price rose to $60. In that time, however, development costs have skyrocketed, and sales numbers for most franchises have plateaued or dropped. The money made after releases has become almost as important as the initial sale. For mobile games, that’s all that matters, having gone “free-to-play.” Those games are given away with the hope money will be spent within them over time. EA Sports has largely been able to avoid criticism of its digital-revenue strategy with franchises like “Madden” and “FIFA” by isolating microtransactions to a single mode. The team-building, card-collecting mode known as “Ultimate Team” has become the most heavily played in the games and now acts as a year-round live service. The money the company has made off Ultimate Team and its mobile titles continues to rise, and this year alone could near a billion dollars. The effect from the current heavy scrutiny will be impossible to gauge for quite some time, though the release of “Star Wars: Battlefront II” next month could provide some insight when its launch is evaluated. A beta held earlier in October faced backlash over a loot crate system that provides considerable advantages for online multiplayer to those who spend money. “NBA 2K18″ already had its predictably massive launch month, but poor word of mouth could affect its legs, and everyone will be watching closely for what changes have been made when “NBA 2K19″ rolls around.